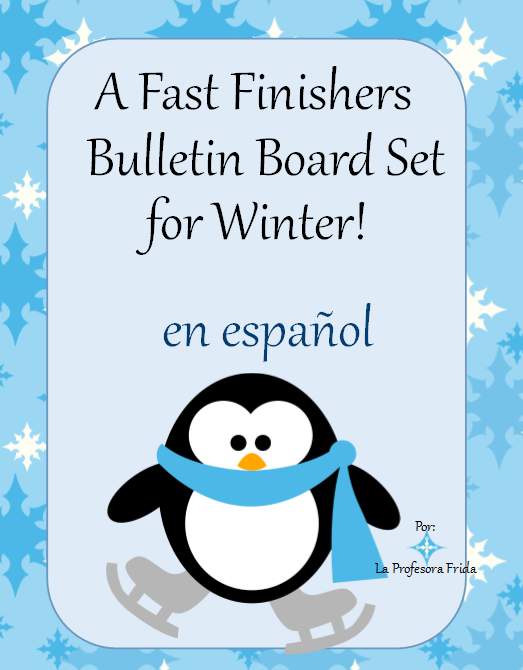 Spanish class Fast Finishers, Bulletin Board SET for your quick workers! What to do, what to do with those fast finishers in your Spanish class?! 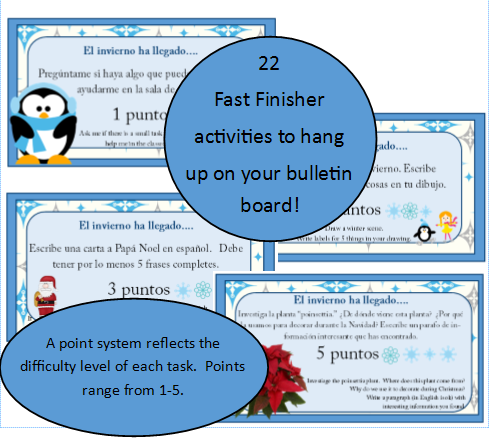 Consider making a Fast Finishers bulletin board with these cards of activities that your students can do while they wait patiently for others to finish! A point system within this packet is used to reflect the difficulty level of each task. Elementary students (bless their little hearts!) do “fast finisher” tasks out of pure intrinsic motivation, but midde schoolers / high schoolers often need some extrinsic reward. Thus the point system. 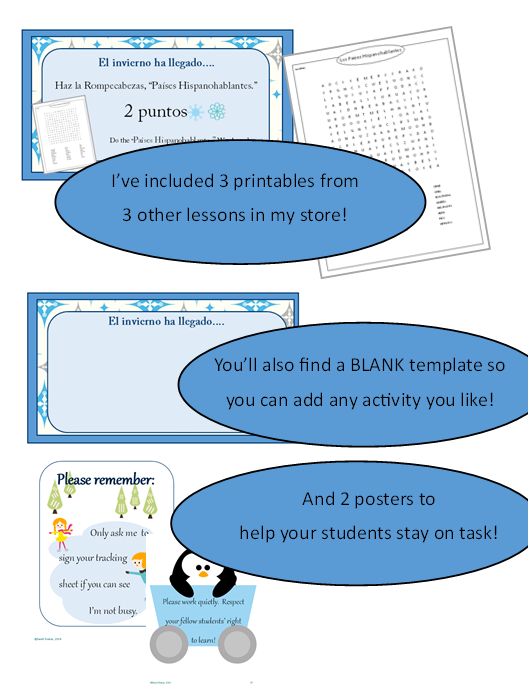 Come and check out the entire PREVIEW file at my TeachersPayTeachers store! And as always, I LOVE to hear your thoughts and feedback about the lessons I create! If you have any suggestions (or catch any typos! ), please send me a message! http://thestressfreespanishteacher.com/wp-content/uploads/2018/08/Eyes-and-Glasses-300x149.png 0 0 admin http://thestressfreespanishteacher.com/wp-content/uploads/2018/08/Eyes-and-Glasses-300x149.png admin2014-11-28 19:03:002014-11-28 19:03:00Spanish class Fast Finishers, Bulletin Board SET for your quick workers!